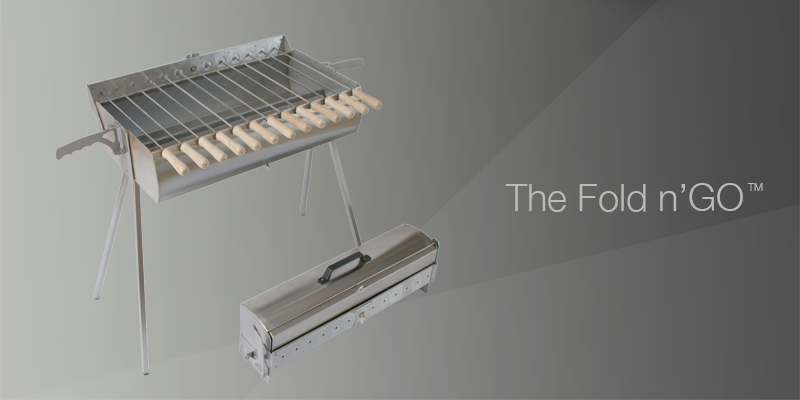 In today’s blog post we are presenting one of our most practical designs of #myGRILL products. The fold n’GO™ series has been designed for the adventurous griller, who seeks high quality, consistency, and a perfect grilling experience at all times. An innovative product, with a profound foldable design will convince even the most demanding. Made from 100% stainless steel, it provides the griller a reliable & durable solution, offering a solid & powerful grilling experience for those who love to grill outdoors! The Fold n’GO™ series is ideal for the adventurous griller, the one who prefers to grill outdoors, but however cannot make any compromises on quality & reliability of their grill. Why choose the Fold n’GO™ series? Really portable: It folds completely; therefore it is super easy to carry it anywhere! Size matters: Fold it and it becomes super compact! We are talking about crazy dimensions: 68x17x24cm and weighs only 10 kg. Built up ergonomically & backed up with accessories that really make a difference. We can’t wait to get in touch with you soon to practically illustrate this fantastic, unique & innovative grill. Our aim is to fine tune to your grilling passion, and we believe we are doing a great job in achieving it! Get in touch with us today!